The dust from the*GAMA Trade Show in Las Vegas has settled, and it was a veritable whirlwind of activity from Steve Jackson Games! We had a bevy of new titles to announce, including our Munchkin Meeples, which several lucky attendees walked away with! We had official words on*Munchkin Pathfinder Guest Artist Edition, with incredible art from Shane White, artist for the Pathfinder: Goblins! comic series from Dynamite. CEO Phil Reed presented our upcoming Moop's Monster Mashup, a standalone Munchkin set based on the nefarious Moop and his zany animal combinations, as well as our summer releases, Bill and Ted's Excellent Boardgame and Simon's Cat Card Game. 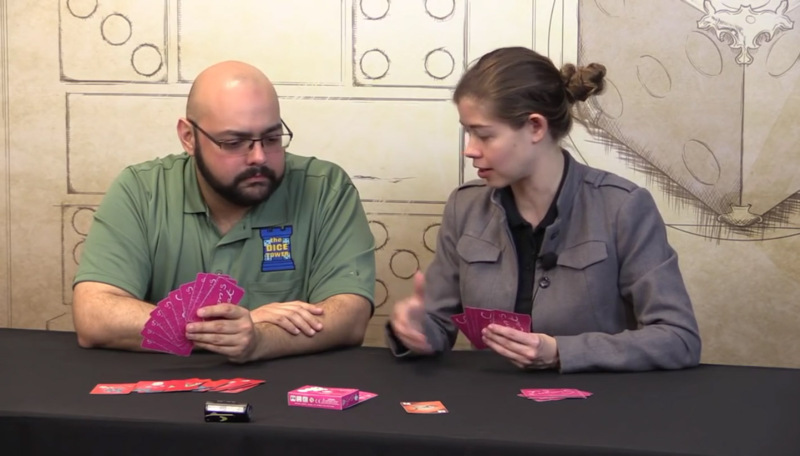 Marketing Director Rhea Friesen even showed off a few of those games*on the Dice Tower GAMA Stream, along with a quick interview. GAMA wouldn't be complete without the Steve Jackson Games Penthouse Party! We had several new retailers sign up for our Store Finder, adding lots of great stores in our ever growing network. Everyone seemed to have a great time, but as you know – what happens in Vegas stays in Vegas. Except for new announcements. Those go everywhere! Push the envelope of your GURPS Dungeon Fantasy campaigns with Pyramid #3/89: Alternate Dungeons II. It includes new character options and campaign ideas, a full adventure, and more. Download it individually or subscribe today – only from Warehouse 23!